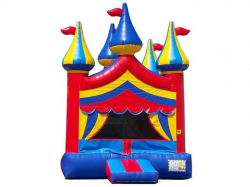 Welcome to HOB Event Rentals, your #1 place for bounce house rentals in Rochester, Il. Renting a bounce house for your next party or event will give your guest the classic fun that only a jumper can provide. Kids go crazy over our inflatable moonwalks and parents like that our bouncer rentals are always clean and safe for their little jumpers. We have more than just bouncer rentals! Click here to see out interactive rentals, like our one a kind Human Hungry Hippo Game. HOB Event Rentals is a family owned and operated family company that has been serving Rochester, Il since 2010. We delivery your bounce house rentals early so you can enjoy the full 8-hour party rental. We pride ourselves on our large inflatable and interactive selection, as well as outstanding customer service. When you rent with House of Bouncers, you won’t be disappointed. Contact us today!